Esomeprazole highlights how South Africa’s medical schemes are paying the price for the country’s strict protection of intellectual property, coupled with weak standards of patentability. 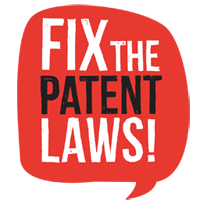 South Africa should amend its Patents Act to explicitly exclude new formulation medicines from patentability in order to reduce the cost of medicines. Additionally the fact that Esomeprazole retains market dominance in the private sector, despite the availability of generic versions of Omeprazole, highlights the impact on cost of unethical marketing practices by pharmaceutical companies. Similar practises were recently condemned by the Department of Health’s Head of Pricing, Anban Pillay, with the commitment by government to address such practises to prevent abuse by pharmaceutical companies at the expense of consumers, medical schemes and government. Esomeprazole is an example of a ‘me-too drug’ because of the tactic used by AstraZeneca to extend its profits beyond the patent period of the original medicine. A ‘me-too drug’ is used to describe a medicine that is developed by making incremental changes to an already existing medicine, thereby allowing a pharmaceutical company to receive a 2nd period of patent protection on the new drug. Esomeprazole is prescribed to treat gastric conditions such as heartburn, acid reflux and ulcers. 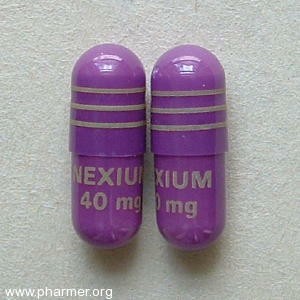 Esomeprazole, sold under the brand name Nexium, has been a star earner for the pharmaceutical company AstraZeneca. Esomeprazole is the S-isomer of the older medicine Omeprazol (marketed as Prilosec). The two medicines are different chemical compositions of the same molecule – used to treat the same conditions. In 2001 AstraZeneca’s patent on Omeprazol expired. AstraZeneca responded by developing and patenting a new formulation of the medicine, Esomeprazole. South Africa’s laws allow for new formulation patents (this allows for old medicines to be reformulated and sold under a different name) and a number of patents were granted on Esomeprazole. A quick search of South Africa’s Company and Intellectual Property Commission website reveals 12 substance, formulation and process patents on Esomeprazole or Omeprazole have been granted in South Africa since 2000. Newer patents on Omeprazole have titles such as ‘Pharmaceutical formulation comprising omeprazole’ and ‘Improved omeprazole process and composition thereof’. Luckily, in the case of Esomeprazole, the new formulation patents granted were not able to block entry of generic versions of the older drug Omeprazol, which is provided in South Africa’s public sector. However, through a successful marketing campaign, AstraZeneca has been able to retain a market monopoly and receive significant profits from South Africa’s private sector. With the introduction of the new formulation medicine, AstraZeneca aggressively marketed Esomeprazole as an improved medicine with enhanced therapeutic efficacy for the patient. 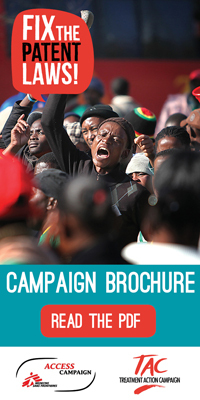 The marketing campaign has been successful for AstraZeneca and in 2010 South African medical schemes spent more on Esomeprazole than any other medicine. AstraZeneca’s marketing claim that Esomeprazole provides added therapeutic benefit to patients over Omeprazol has been widely contested leading to a number of legal challenges by consumers. Additionally, there have been numerous patent disputes on medicine’s claims of ‘inventiveness’. In 2006 the European Patents Office revoked a substance patent on Esomeprazole, following a challenge by a generic producer Ratiopharm. Despite this, data exclusivity upheld in Europe would continue to act as a barrier to generic competition until 2010. In 2007, the European Patents Office upheld a process patent on Esomeprazole. And, in 2011, the European Patents Office revoked a patent on the oral administration of Esomeprazole on the grounds that it lacked inventiveness. While some generic producers have gone back on plans to produce Esomeprazole, in the face of court battles with AstraZeneca, a number of generic versions are now on the market. Apotex is marketing generic Esomeprazole in Canada and TEVA and Ranbaxy UK are both marketing generic Esomeprazole in the UK. Currently TEVA UK is charging £0.54 (R6.69) for a single 40 mg tablet in the UK – half of what is paid for the patented medicine in South Africa where generic versions are not available. AstraZeneca supplies 40 mg Esomeprazole tablet in South Africa at R12.87 per tablet. to pharmacists who have suggested substitution.